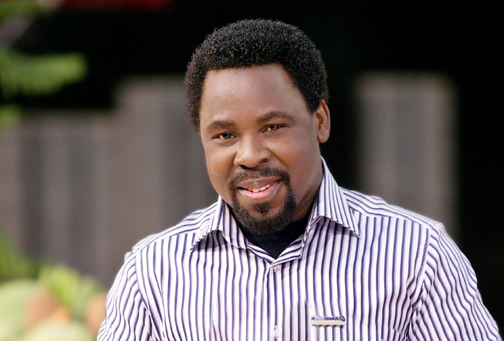 The church of the popular Nigerian evangelist, TB Joshua, has rejected a coroner’s call for it to be prosecuted over the collapse of a building last year. The ruling was “unreasonable, one-sided and biased”, it said in a statement. A multi-storey church hostel collapsed in September in the commercial capital, Lagos, killing 116 people. TB Joshua’s followers regard him as a prophet who can heal all manner of illnesses. People from all over the world visit his mega-church in Lagos. Most of those who died when the hostel collapsed were South Africans. The BBC’s Pumza Fihlani reports from South Africa’s main city, Johannesburg, that some of the families of the dead have praised the coroner’s ruling while others have described it as the devil’s work. The ruling said the hostel had been built without planning permission, and the church’s “criminal negligence” led to the deaths. “The church disagrees most vehemently with the finding that the incident was due to structural failure,” the church said in a statement. The church, known as the Synagogue Church of All Nations, had blamed last year’s incident on a small plane which it alleged had been circling the building. The court dismissed the claim. BBC Nigeria correspondent Will Ross says the coroner’s verdict is a recommendation and it will be up to Lagos state’s director of public prosecutions to decide what legal action to take.